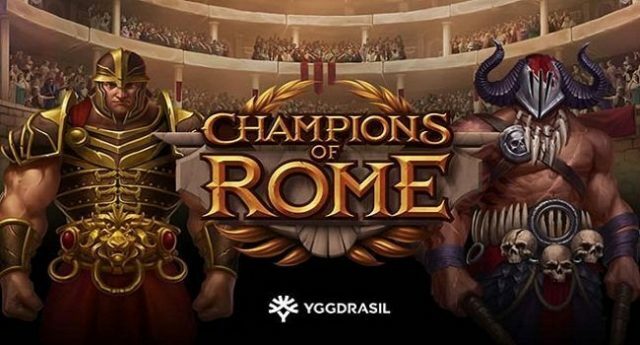 Champions of Rome are an online slot game powered by Yggdrasil gaming Limited. The slot game is of 5 reels and 20 Paylines. You can play this slot using your desktop, laptop, tablet or mobile phones with coin sizes of just 20p per spin to up to €£100 per spin. Champions of Rome video slot offer a jackpot of 1,200 times on your total stake and it has 3 Bonus rounds. 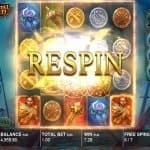 One of bonus rounds is Free spin Bonus feature which could get you 5 to 20 free spins and up to 4x of multiplier. The Champions of Rome slot is themed on an ancient Roman culture involving gladiators. The game also comes in with a Gladiator feature where 4 wilds as well as 3 gladiators are added to the reels. The Champions of Rome slot is a beautifully designed slot machine where you will feel adventure and winning moments. 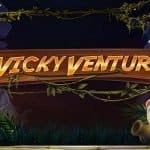 The game will take you to a colosseum where heavyweight gladiators are preparing themselves to have a cruel fight. There are 4 different types of coin symbols are available in the game. You will also see different types of animals on the reels such as lion, bull and eagle. The game also contains 3 gladiators and the red gladiator is the most rewarding symbol which offers 2,6 or 60 times on your total stake if you land these symbols on 3,4 or 5 across your payline. Onto the bonus features – The first feature of this game is the Gladiator feature which gets activated when you land 2 free spin symbols on reels 1 or the 3 following weapons. 3, 3 or 5 Free spins will be awarded to you if you land 3 or more of the free spins on your reels. 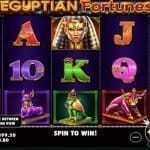 Plus you will also receive 1, 15 or 600 on your total bet during this free spin feature.